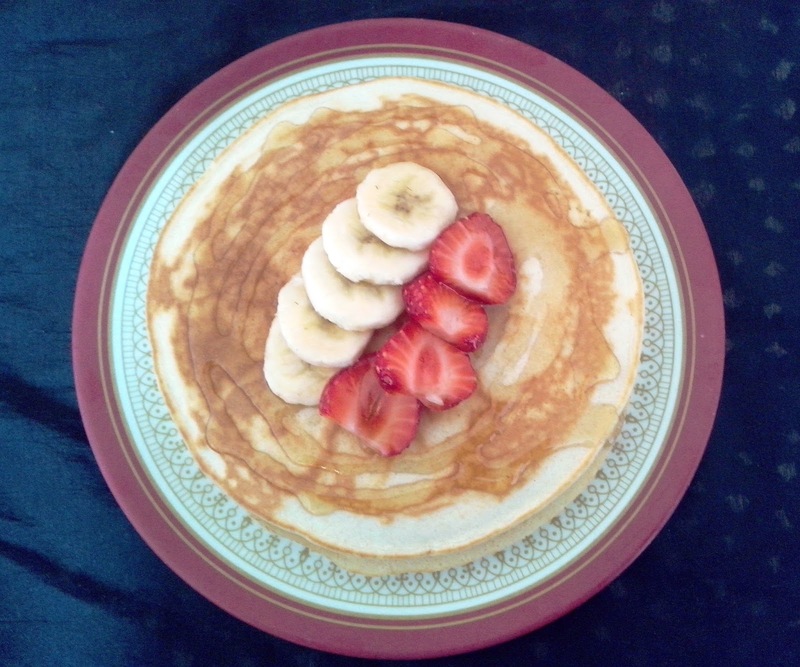 Pavi's Platter: Simple Pancake ! 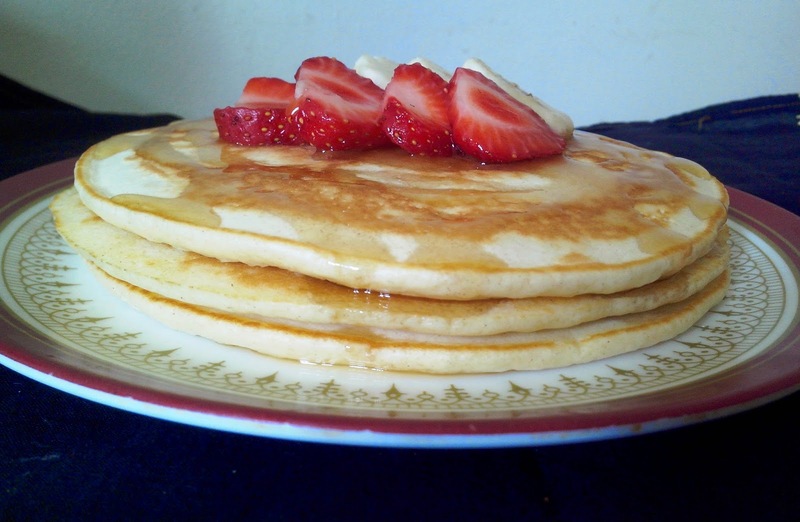 Pancakes are thin, flat and round cakes but cooked on a hot surface and a raising agent (baking powder) is added. Pancakes are known all over the world in different names, we call it dosa, the French call it crepe while the British call it pancakes. 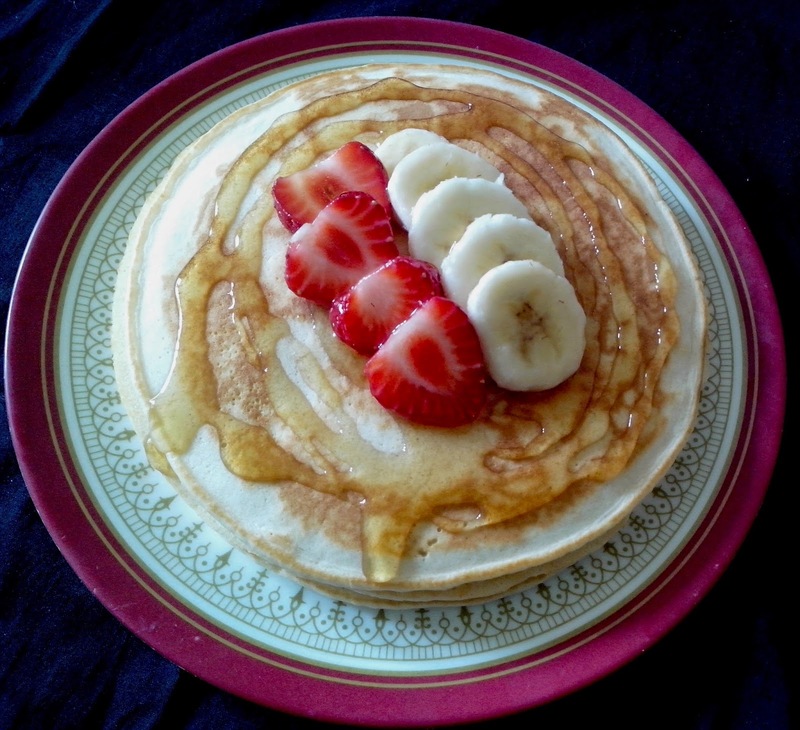 It goes well for breakfast and can be prepared with very minimal ingredients. We will mix all the wet ingredients together and then add the dry ingredients in it. Break the egg and beat it well. Then add the sugar to it and mix well. Add milk to it and again beat well. The more you beat the more fluffier your pancakes will be. Mix salt, baking powder to the all purpose flour well. You may also sieve everything together. Also a pinch of nutmeg powder and vanilla essence can be added to the batter. Now mix the dry ingredients to the wet mixture and mix well without any lumps. Heat a pan/griddle and grease with some butter. Reduce the heat to the minimum and then pour a ladle full of batter. Do not spread at all.. The batter will automatically spread to a nice circle if the heat is low. If the pan is very hot do not expect a round pancake. 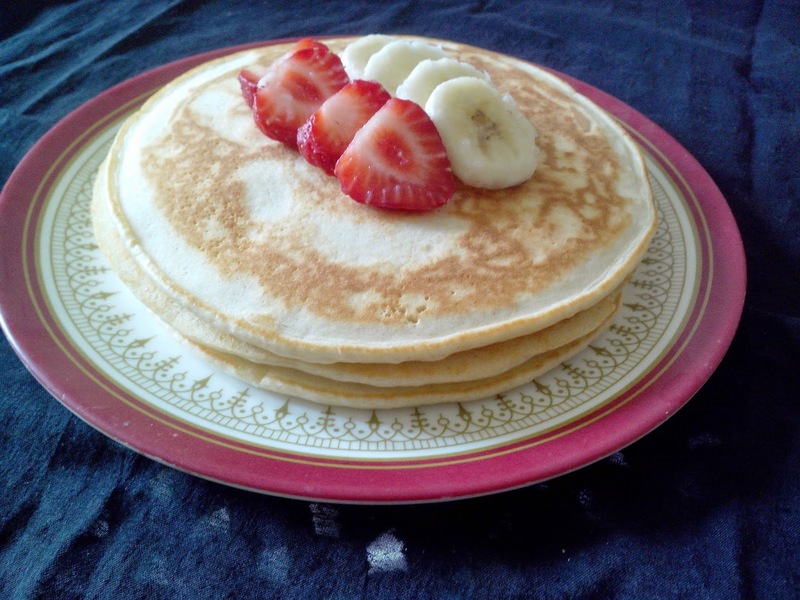 There should be lot of bubbles appearing on the surface which means the batter is incorporated with air well and you will get fluffy pancakes. Flip them and cook on the other side for few seconds. Use the same ladle and pour just one full ladle for each pancake so that you get all pancakes of same size. Stack them and top with fruits of your choice. Spread some honey or pancake syrup / Maple Syrup. Can also be eaten with Greek Yogurt or butter. 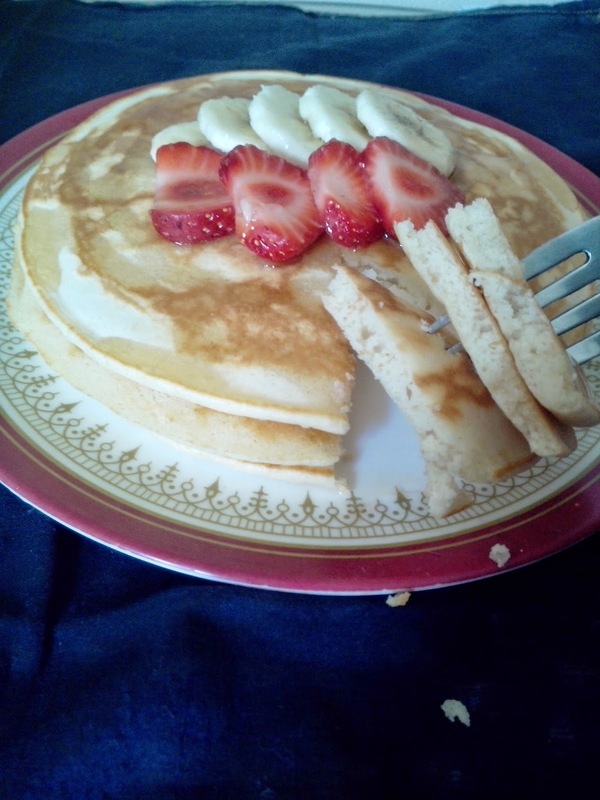 Try and enjoy the fluffy pancakes. See you with another recipe soon.